Manrico Montero a.k.a. 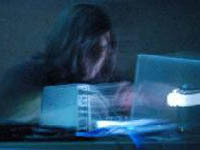 Karras is a sound artist born and based in Mexico City. Karras generates organic digi-acoustic Soundscapes and micro-acoustic structures using Field Recordings, Guitar, Cello and some digital processes. He plays with the Estructuras de la Tarde band and with La Orquesta Silenciosa improvisation ensemble. He is founder of the Mandorla label.